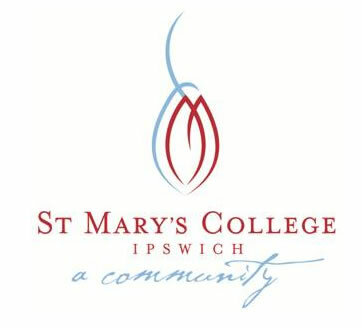 St. Mary's College is a Catholic Secondary School catering for girls from Years 8 - 12. We have a growing enrolment of approximately 600 students. Our size enables us to offer an extensive and diverse curriculum while at the same time maintaining the atmosphere of warmth, care and encouragement of individual effort which is characteristic of schools our size. St. Mary's is a supporting, caring community with a strong emphasis on Pastoral Care. We are a community in which all members are encouraged to develop a sense of belonging and to achieve to the best of their ability. St Edmund’s seeks to provide the best possible education for our students in an environment which is permeated by consciousness of the presence of God and love for Christ. The College at present consists of two campuses, the College at Mary Street, and the Edmund Park Training and Leisure Centre near Thornton in the Laidley Valley. The staff at St Edmund's College are committed to providing out students with an educational framework suitable to the needs of boys and men. Our mission is to have our young men resilient and wise enough to leave us in Year 12, to take their place in a society that is challenging, demanding and enriching. As well as striving for academic success in the classroom, it is necessary to develop emotional and social skills. Students need to feel that they belong to our community and that they are valued by the St Edmund's family. West Moreton Anglican College is a high-achieving coeducational Prep to Year 12 institution,situated on a beautiful semi-rural campus only minutes from Ipswich in Queensland’s south-eastern growth corridor. The Chapel is the Physical manifestation of the Christian values upon which the College is built. We encourage the community and staff to maintain a Christian lifestyle and share in regular worship at the chapel. West Moreton Anglican College has an extremely broad curriculum that encourages all students to fulfil the college mission – In pursuit of individual excellence. International Students may select subjects offering in year 10 and year 11 mathematics and other combinations that is appropriate to their level of language. All of our International Student program teaching staff are highly qualified and dedicated to the task of helping students to learn for life. 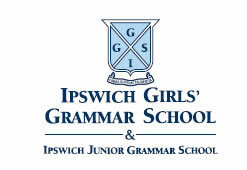 Opened in March 1892 Ipswich Girls’ Grammar School, including the co-educational Ipswich Junior Grammar School, is one of the eight original Queensland Grammar Schools - a unique body of schools in Australia. Independent, non-denominational education is provided in three distinct yet connected School Levels – Junior (Pre-Prep to Year 6), Middle (Years 7-9)and Senior (Years 10-12). Boarding is available from Year 7 to 12. With smaller class sizes, the highest standards in quality education and pastoral care, a warm, nurturing boarding environment and a rich, diverse co-curricular program, students at all levels benefit from more student-teacher interaction and achieve academic excellence and all-round success. Every year almost 100% of IGGS students are accepted into the Queensland and interstate universities and other tertiary institutions of their choice. Our Early Education Centre offering Pre-Prep is now open. Staines Memorial College provides a caring, quality Christian education. We are an attractive affordable schooling option for families in Ipswich and the South West Suburbs of Brisbane. Staines is a small but growing education community. We expect to be a major education provider in the SEQ “Ripley Valley”. We provide education from Prep to Year 12. Our College has a non-denominational Christian ethos and caters for children from a wide variety of Christian backgrounds and traditions. It also caters for families who - though not necessarily Christian themselves desire a Christian school culture and educational experience for their children. All staff are committed Christian people from various denominational backgrounds selected for their professional competence as well as for their sense of calling to the ministry of a Christian school. 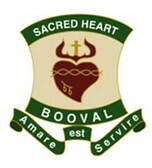 Sacred Heart Primary School is a Parish School established to further the Catholic Church’s mission of handing on faith in Jesus Christ to the people of Booval/Riverview Parish Community. As Educators we see ourselves working in partnership with parents, children, clergy and the members of our community. Through this partnership we work to meet the individual needs of all children so they can reach their full potential as they continue to develop. 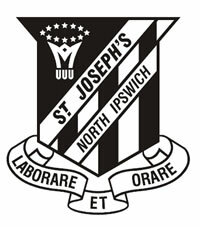 St Joseph's School - A safe, exciting, Catholic learning community from Prep to Year 7. St Mary's is a Catholic parish school established over 145 years ago and is administered by Brisbane Catholic Education (243 Gladstone Road, Dutton Park). Our school is contained within spacious grounds near the centre of Ipswich City, a few minutes walk from the railway station. Buses run to and from the school servicing most areas of Ipswich and its surrounds. We are situated next door to St Mary's College for girls and across the road from St Edmund's College for boys. St Peter Claver College is a co-educational secondary Catholic College of 920 students within the Archdiocese of Brisbane. It is located on 14 hectares of beautiful bushland in the suburb of Riverview. The lives and examples of St Peter Claver and St Marcellin Champagnat are at the very heart of our community. The College's motto of "Concern. Love and Justice" is lived out in our social justice programs and in the care shown for all in our community. Ipswich Grammar School is steeped in history. The original buildings from 1863 sit proudly on Grammar School Hill and are listed by the National Trust. This fine gothic structure is nestled amid a complex of modern facilities including a Precinct of The Arts, Auditorium, science building, music school, classroom complex, Information and Technology Centre, Library and Resource Centre, Junior School, industrial technology and design workshops, gymnasium, heated pool, multi-purpose Sports Dome and a Junior School Library. The Risson Centre and Brassall Sporting Complex are just a five minute drive away. The centre caters for sporting functions and is recognised as a leading conference and seminar venue. The facility hosts IGS cricket, football, cross country and other outdoor activities and has eight international standard tennis courts and a clubhouse. 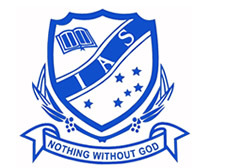 Ipswich Adventist School is a co-educational multicultural school which caters for students from Prep to Grade 7. It is administered by the School Council under the Board of Directors of ‘Seventh-Day Adventist Schools (South Queensland). It is a growing independent primary school at Brassall, which aims to establish a secondary campus in the near future. Make an investment in your future by undertaking training with Skills@top, a division of Top Office Personnel Pty Ltd. Microsoft courses in Word, Excel, PowerPoint and Publisher. Basic to advanced levels available. Monthly Microsoft workshops. Full range of business certificate courses available.